Located about 40 miles west of Chicago, Joliet is the county seat of Will County. With a population of 147,433, it is the fourth largest city in Illinois. Joliet was once an industrial city, which grew and expanded as residential and commercial properties developed. Today, the area has a diverse economy and is currently undergoing tremendous residential development. Downtown Joliet is currently experiencing a revitalization project to grow and develop the local economy and foster a sense of community. 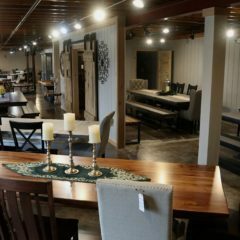 Rustic Elements Furniture is a Joliet custom furniture shop that builds custom wood tables, bedroom furniture, desks, media centers, and storage furniture. We build all of our wood furniture in our Joliet shop, and each piece is built to match our customers’ needs, dimensions, and desired style. We pride ourselves on using only the highest-quality wood available. 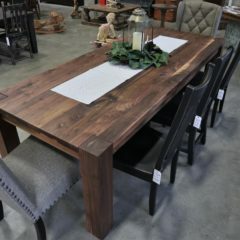 Our wood furniture is durable and will not be damaged by wine, bleach, nail polish, or other chemicals. 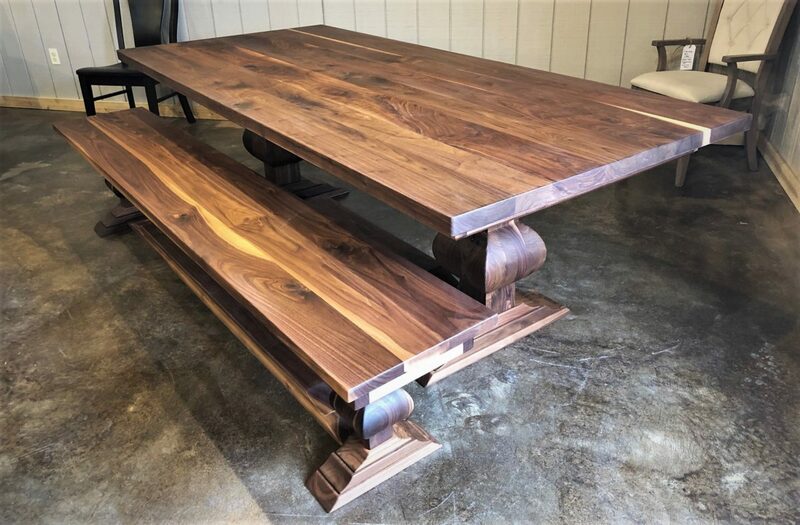 No matter the size of the table you want built, or the level of distress you’re looking for, our team of woodworkers will build you a handcrafted custom piece of furniture that is sure to last for years to come. In fact, we offer a warranty on our pieces for 227 years! 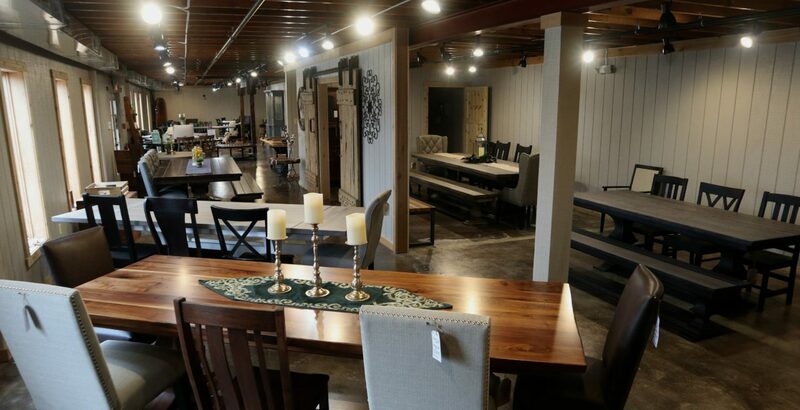 If you’re in the Joliet area, we encourage you to come visit our showroom to see examples of our furniture and meet with us in person. We offer delivery on Saturdays from 8:00 am to 5:00 pm, and our delivery includes white glove service, meaning we will bring the furniture into the exact spot you request, install felt pads, and completely set it up. 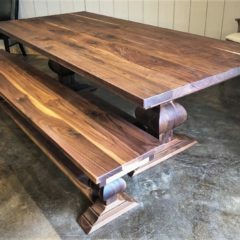 If you’re interesting in buying a piece of furniture in the immediate future, our current inventory has a selection of custom wood furniture available for immediate purchase. 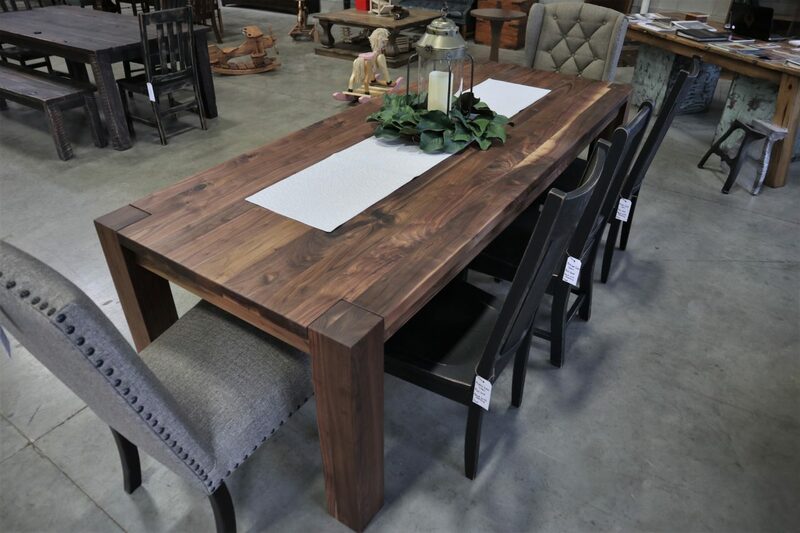 Contact Rustic Elements Furniture today to learn more about our custom wood furniture, or call us at (847) 401-7753 to visit our Joliet showroom.